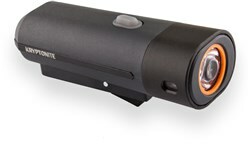 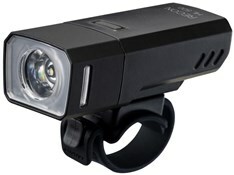 The Cateye UNO is perhaps the smallest front bike light on the market, which you can use as your main lighting system. 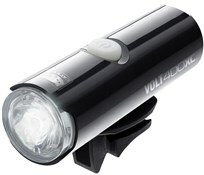 The single AA battery generates up to 30 hours flashing or 15 hours of constant brightness. 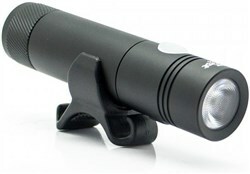 On constant mode the UNO emits in excess of 400 candlepower (while is ideal in urban areas but not bright enough for unlit or dark country roads). 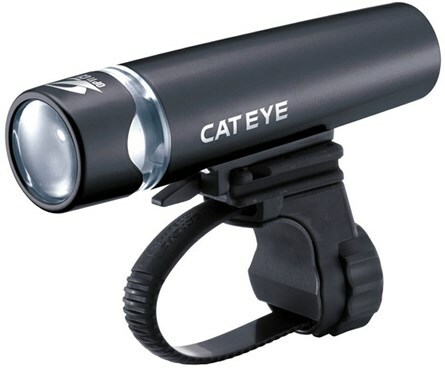 Weighing just 55g the Cateye bike light is super lightweight and adds negligible weight to your frame. 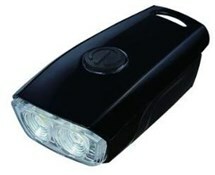 Quick and easy to mount the UNO can be swapped between bikes or removed for security in moments.